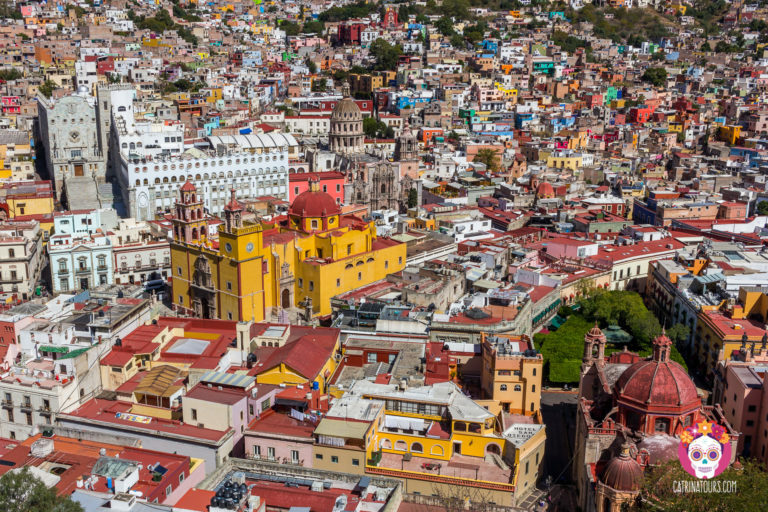 Visit the incredible magical city of Guanajuato, with its colorful facades, fascinating landscapes, city tunnels and captivating museums. 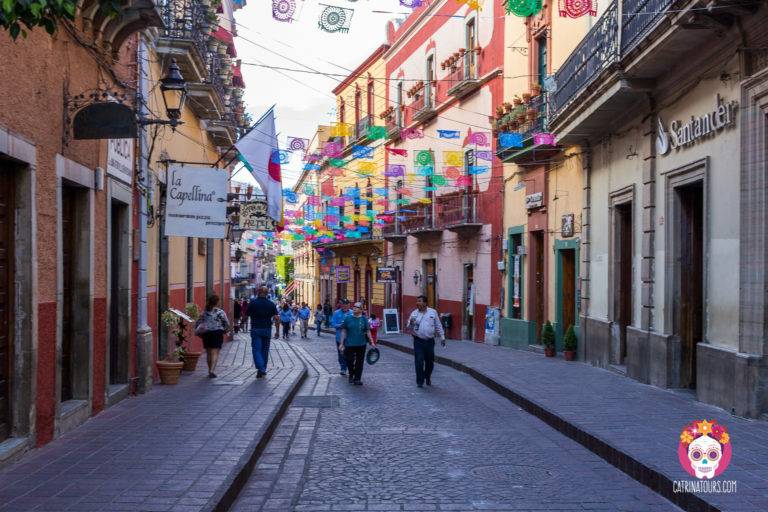 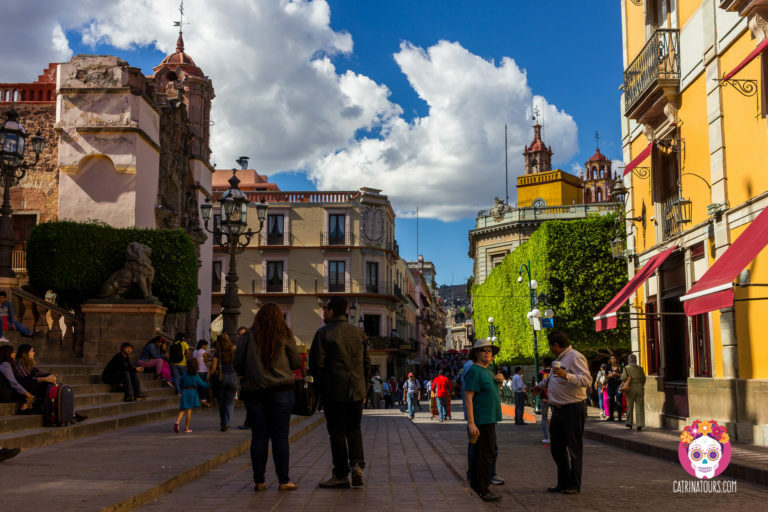 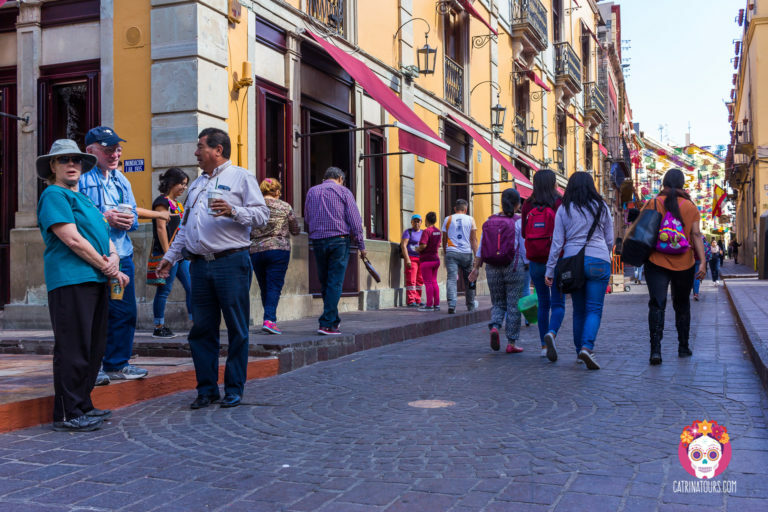 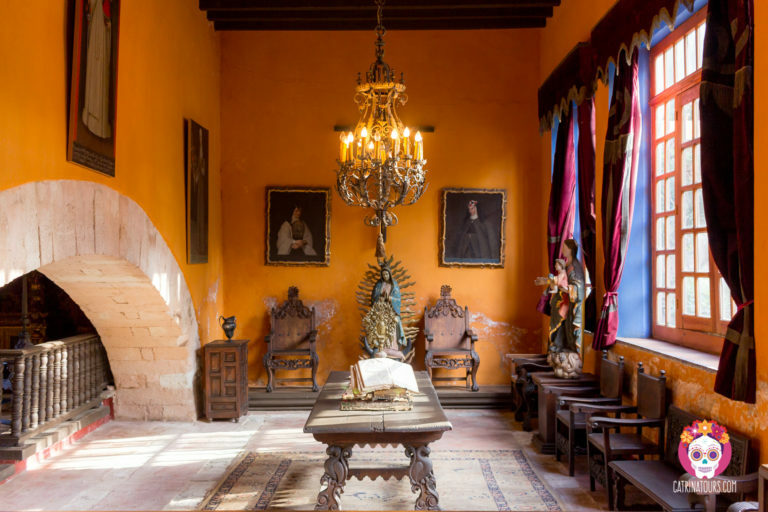 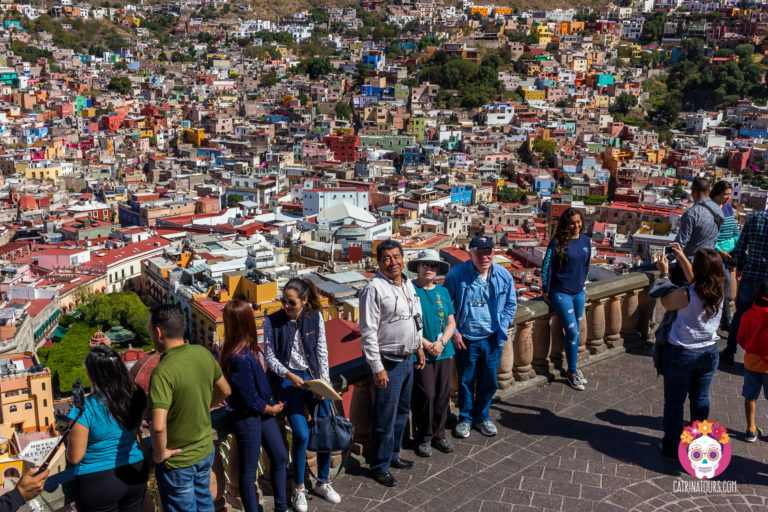 A cultural city like no other, Guanajuato offers something for everyone, including a delicious lunch of regional Mexican food, intricate architecture and lots of history for those interested in Mexico’s colonial past. 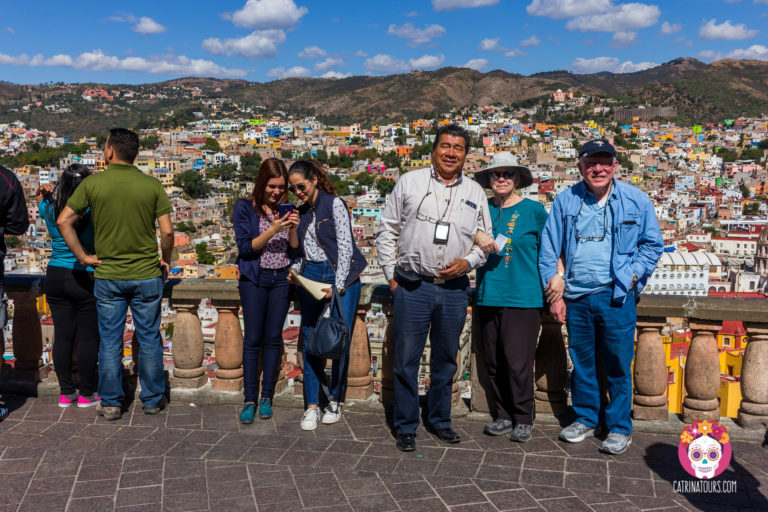 City of Guanajuato and surrounding area. 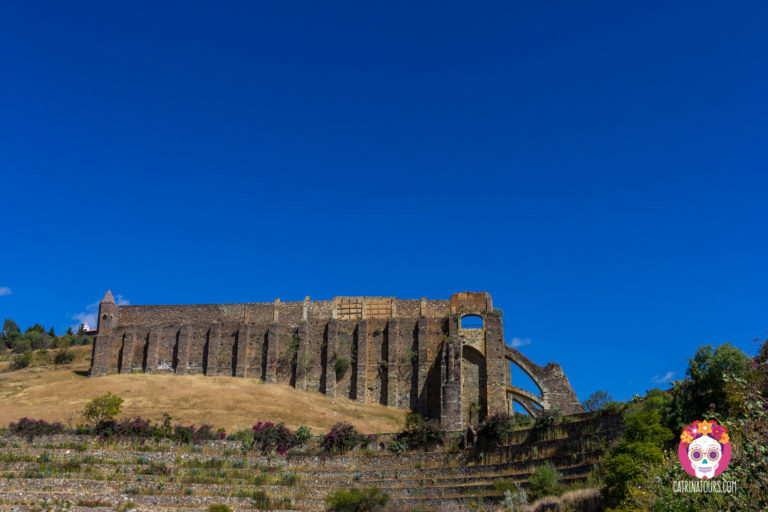 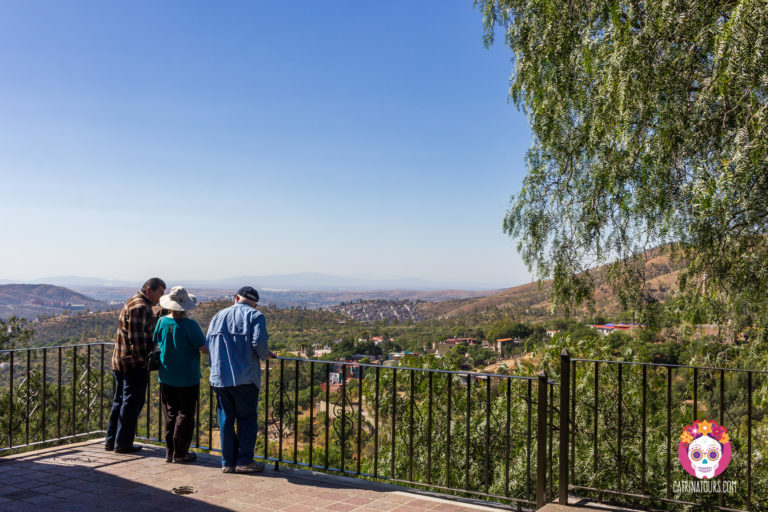 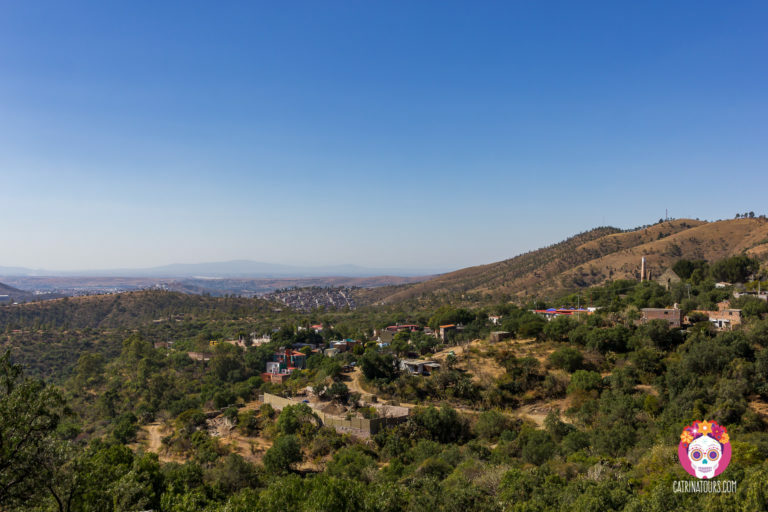 Our first stop in Guanajuato is the Pípila Monument, where there’s a lookout and we’ll be able to see the whole city from above while we start to learn about Guanajuato’s history and we’ll be able to identify the important buildings and landmarks of the area. 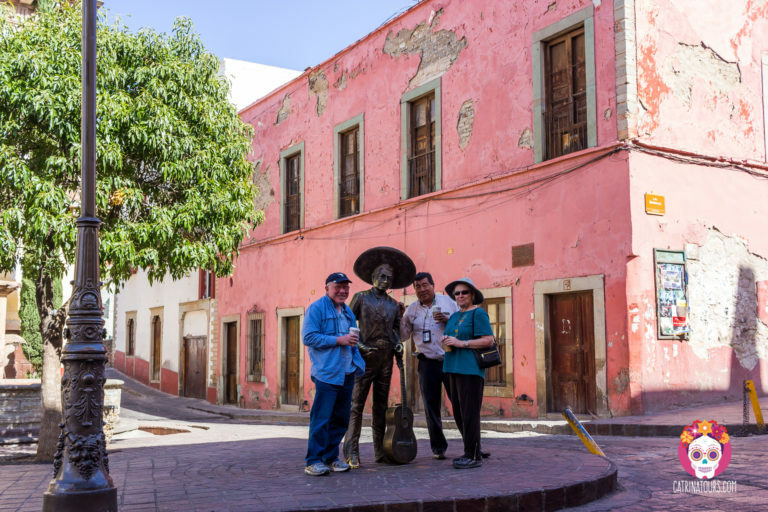 Then, we’ll come down on a cable car to the downtown area where we’ll visit the first church built in the city and learn about its history. 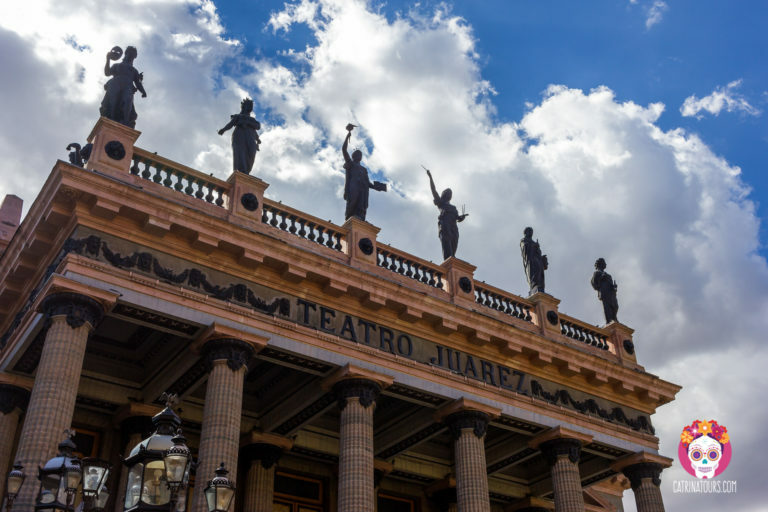 Next to it, we’ll admire the Juarez Theater, one of the most emblematic buldings of Mexico’s Porfirian era and we’ll go inside to see its unique architecture and learn about its history. 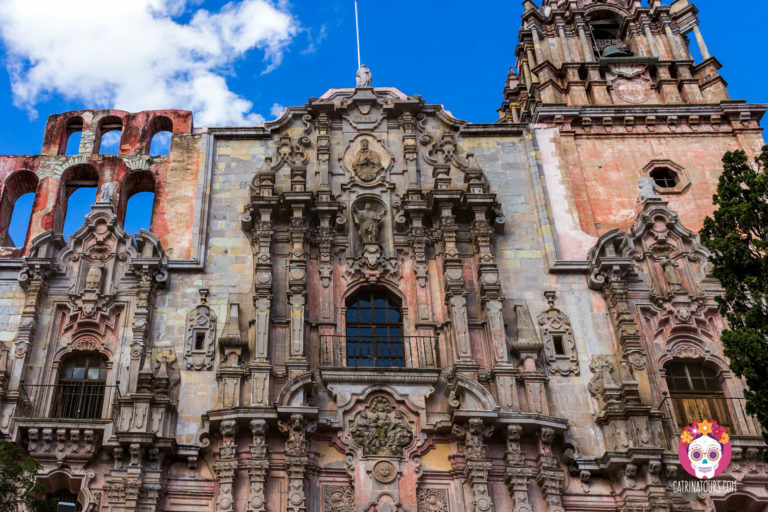 We’ll walk the streets of Guanajuato, full of color, to the Church of Jesus’ Company to see its beautiful facade and unique style and we’ll visit the temple to see it’s paintings from the 1600’s. 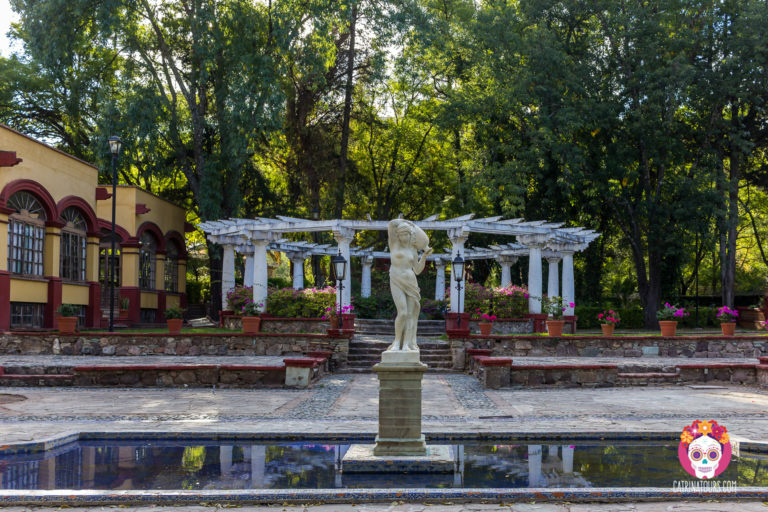 Then we’ll visit the Univeristy, another unique architectural landmark and learn about its history. 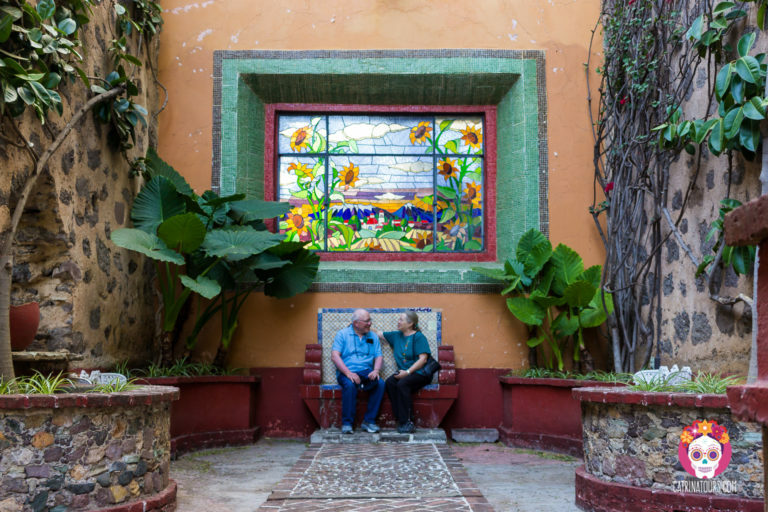 A visit to the Diego Rivera museum comes next, we’ll see the art show that always has Mexican artists on display. 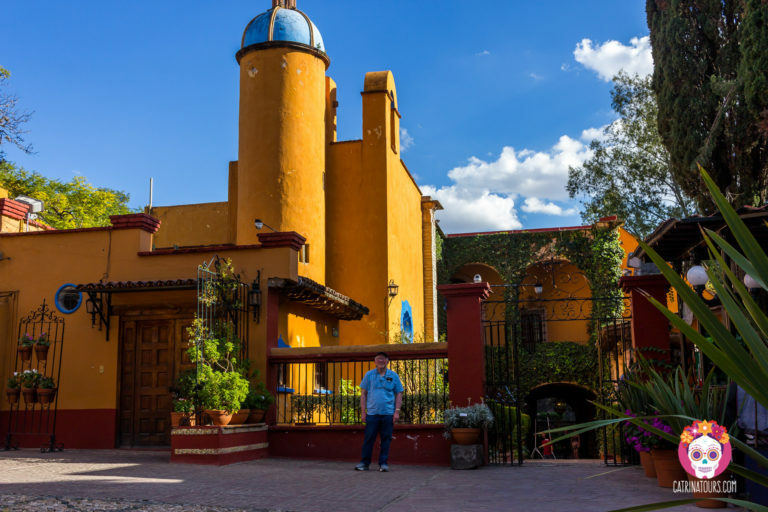 We’ll learn about Diego’s life, his murals, portraits and cubists paintings. 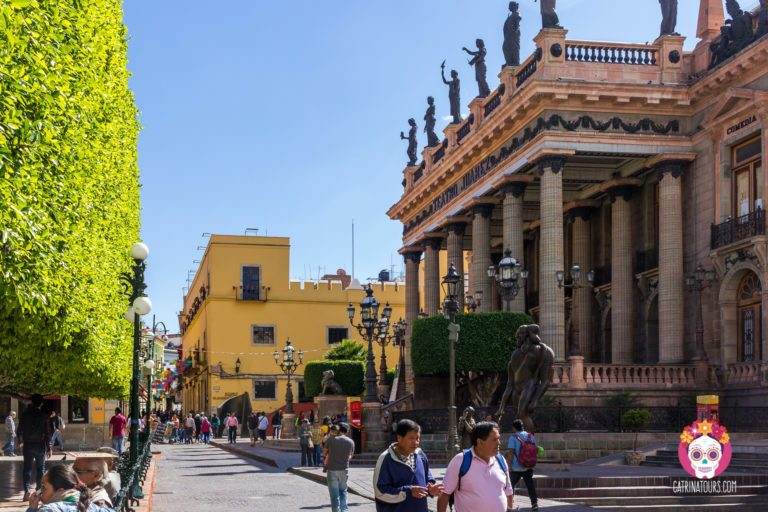 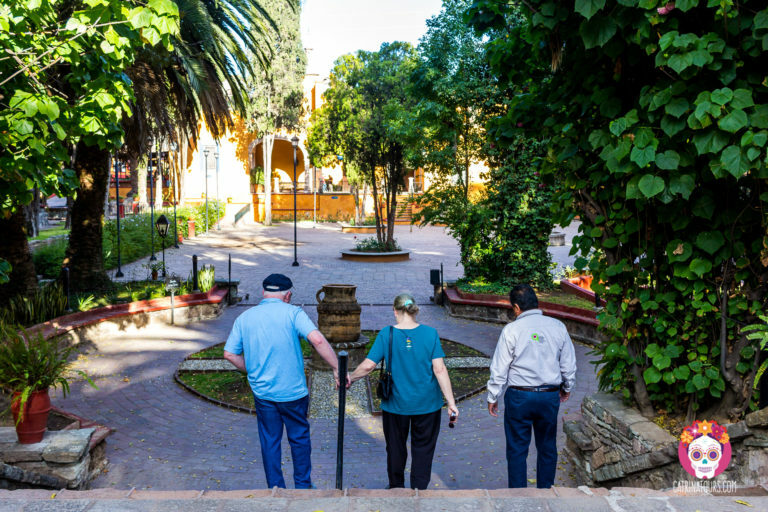 From there we’ll head to the Plaza de la Paz, the aristocratic center of the city to admire its architecture and visit the Basílica of Our Lady of Guanajuato, where we’ll find the oldest statue of the virgin Mary in the Americas, dated from the year 714. 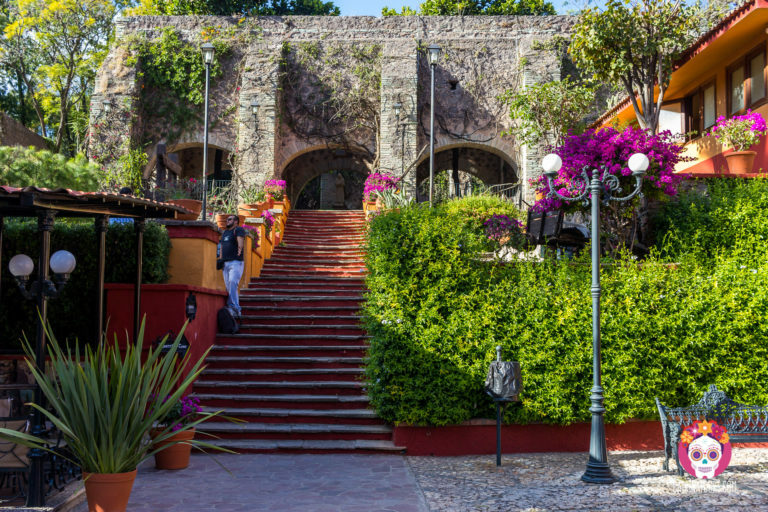 Lunch is next at a local restaurant of great regional food with high quality food options for everyone. 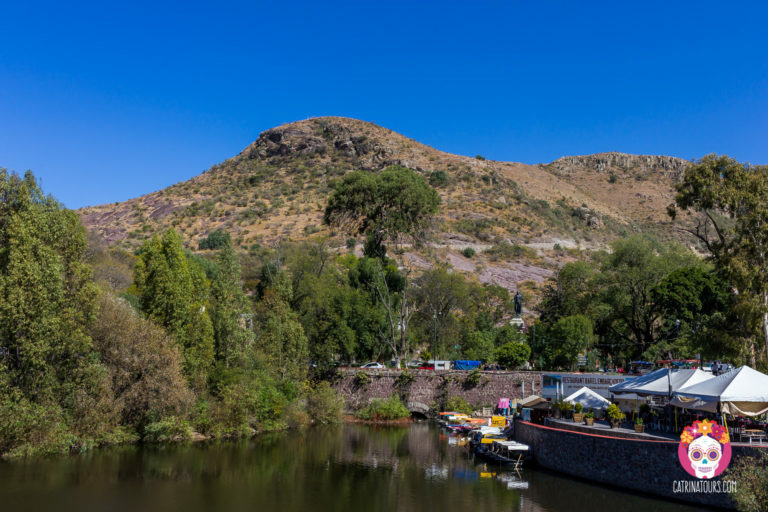 Then we’ll take the cable car back up to make our way back to San Miguel de Allende. 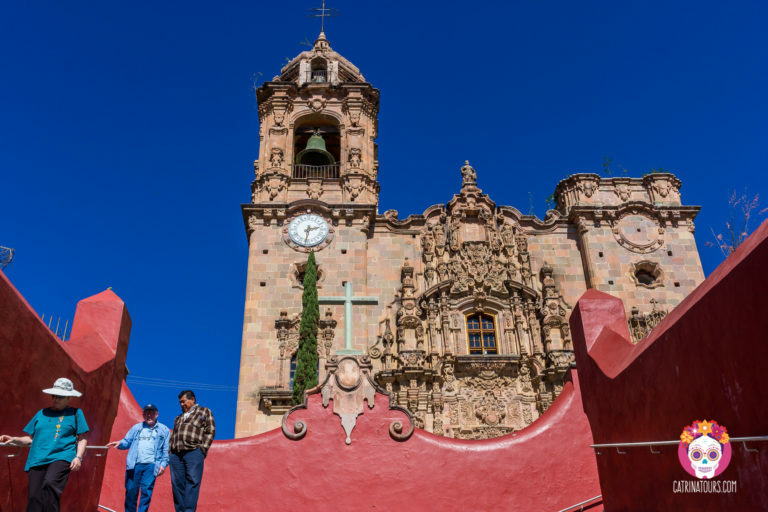 On our way back to San Miguel, we can stop at the San Cayetano church, one of the most adorned and beautiful churches that represents the golden age of the city of Guanajuato.